Antibody drug conjugates (ADCs) combine the unique targeting capabilities of monoclonal antibodies with cytotoxic drug loads, and represent one of the fastest growing segments of the biotherapeutic pipeline. Due to their inherent heterogeneity and high molecular weight, ADCs represent a huge challenge in drug discovery and development. Analytical scientists have the complex and crucial task of accurately determining the amount of cytotoxic drug that is present on the ADC molecule. The need to understand the changes in the payload distribution over time and ensure the drug load is consistent and comparable from lot-to-lot, make it a very involved process and accuracy is paramount. 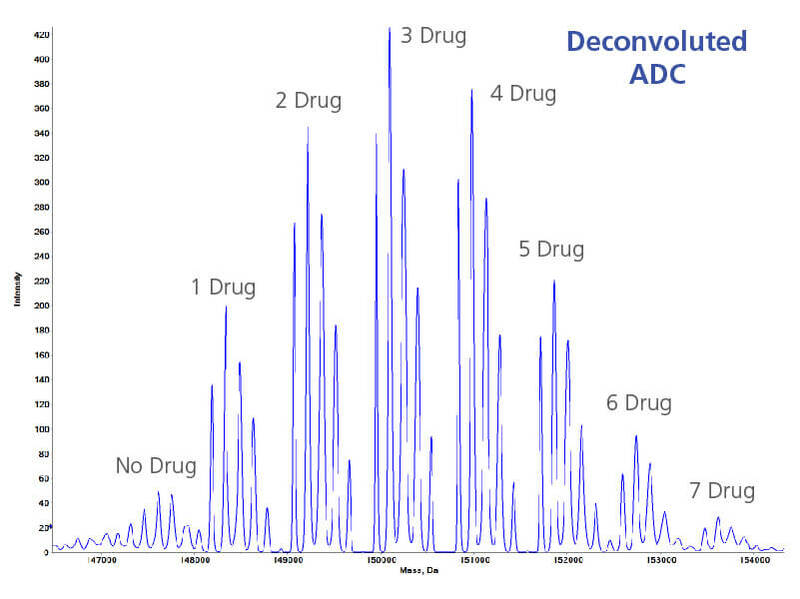 For routine intact or subunit ADC analysis, SCIEX LC-MS solutions simplify and accelerate your workflows and provides an automated and accurate view of drug load and drug-to-antibody ratio (DAR). 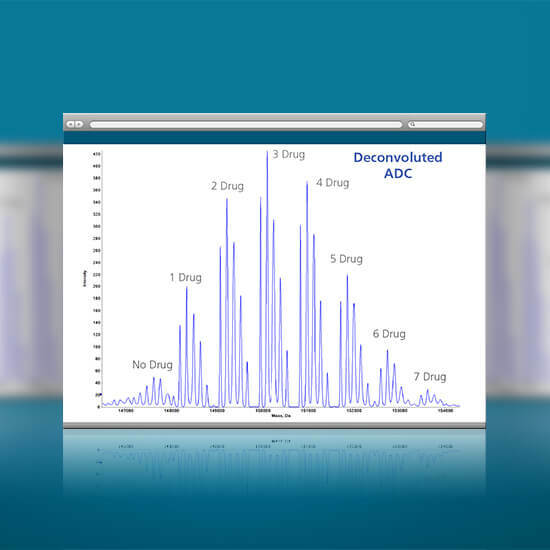 When it comes to ADC analysis in complex matrices, our solutions deliver advanced sensitivity and separation to make DAR determination more accurate and straightforward. 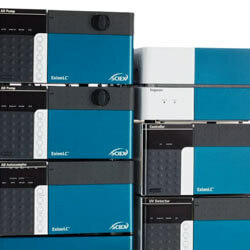 SCIEX LC-MS solutions push the boundaries in intact ADC characterization. 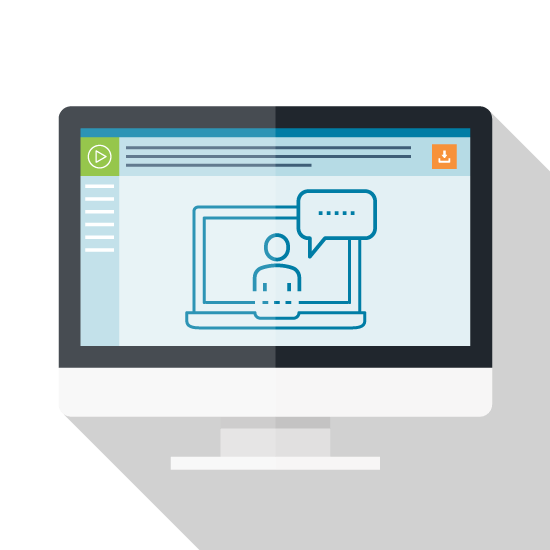 Powerful and automated data processing gives you the utmost confidence in your analysis of drug load, while ensuring the characterization process doesn’t create pipeline bottlenecks. 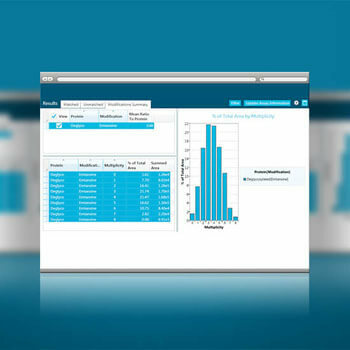 Now you can reduce sample preparation and complicated separations, and eliminate time consuming manual calculations. 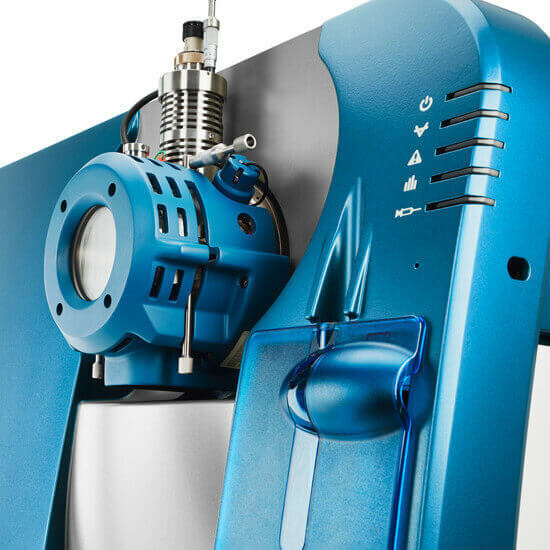 For those doing standardized analyses, the X500B QTOF System is simple, easy-to-use and robust, making it accessible for many users to quickly and accurately analyze ADC samples. 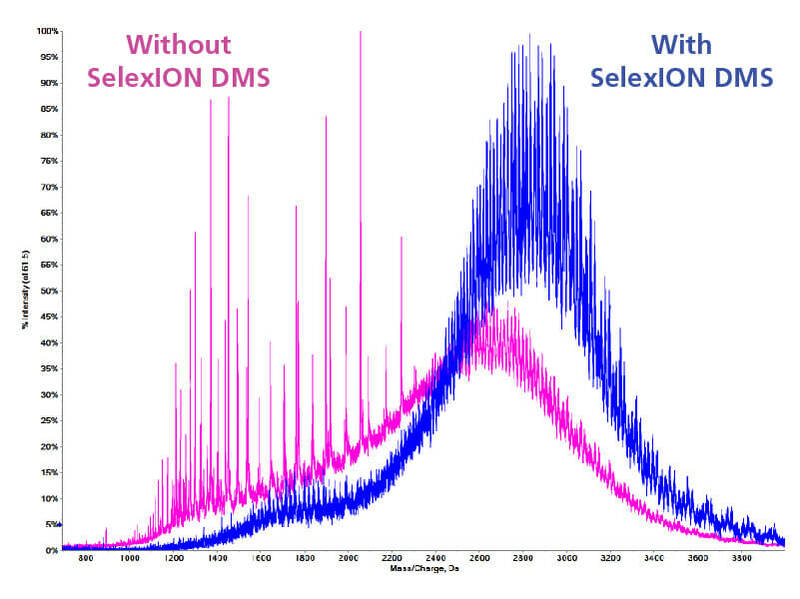 More complex ADC characterization demands the additional sensitivity of the TripleTOF 6600 or orthogonal selectivity strategies, such as SelexION DMS. 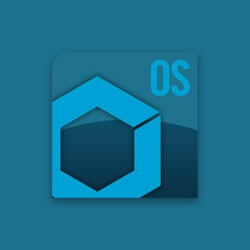 High quality intact mass and subunit data for large ADC molecules is possible on SCIEX QTOF systems. 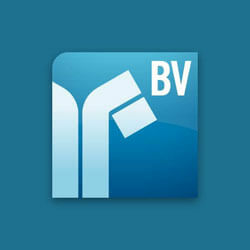 See both major and minor drug forms to ensure you can calculate an accurate drug-to-antibody ratio for the biotherapeutic. 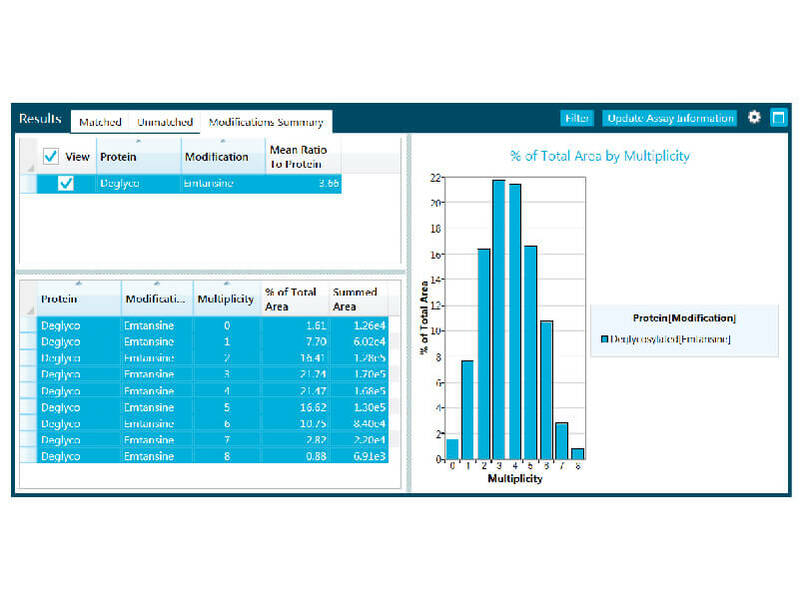 Simplified protein deconvolution and lightning fast drug-to-antibody ratio (DAR) calculations in the BioPharmaView Software means you’ll spend less time performing manual calculations. You can quickly process samples in high volume using the batch processing mode, and see drug load across samples with intuitive visualization tools and notifications to quickly determine comparability. If your ADC is in a complex matrix, combining the highly sensitive TripleTOF® 6600 with SelexION® Differential Mobility Technology reduces data complexity, to give you a clearer picture of your ADC by separating the biotherapeutic from other background components. 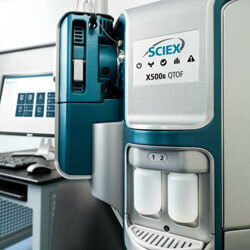 The SelexION device can be tuned to allow the passage of the ADC therapeutic while filtering away other smaller coeluting proteins and background matrix components. When doing ADC analysis in complex matrices, the overall sensitivity of the system and your ability to perform up front separation of the ADC from other sample components become very important. 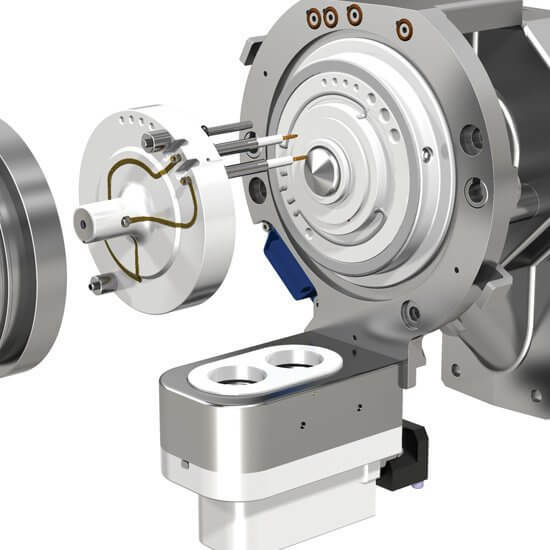 The high performance, advanced TripleTOF 6600 System delivers high sensitivity, coupled with the SelexION Differential Mobility Technology to reduce data complexity. 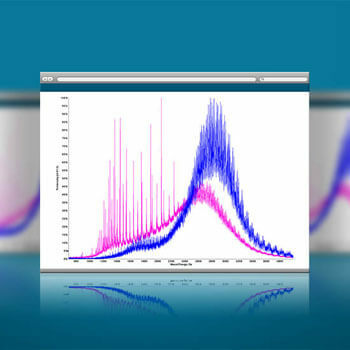 If you manage routine ADC characterization and DAR determination, the X500B QTOF System paired with BioPharmaView™ Software provides faster and simpler tools for setup and analysis. You can easily see drug load across multiple samples with automated DAR calculations.